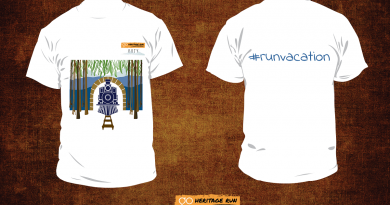 We’ve received a lot of questions asked about the routes, elevation details and sites of significance at Go Heritage Run – Orchha and this post has the answers! You can read more about the heritage sites on route and in and around Orchha here. The 5KM run route begins at Orchha Fort Complex – near Sheesh Mahal. Weave your way through the Orchha Fort Complex, across the arched bridge at its entrance and then head south until you reach the River Betwa. If you look west you’ll see Orchha’s famous cenotaphs/chattris – but continue further south, over the bridge across the Betwa and into an island that houses the Orchha wildlife sanctuary. The 5KM run route turnaround point is at the Sanctuary entrance. Retrace your path until you return to the Orchha Fort Complex – and marvel at the architectural beauty of the Jehangir Mahal and Sheesh mahal as you approach the finish line! 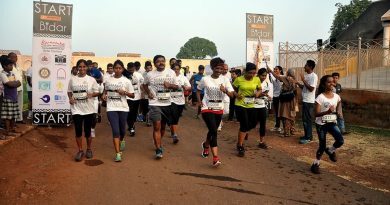 The 10KM run route begins at Orchha Fort Complex – near Sheesh Mahal. Weave your way through the Orchha Fort Complex, across the arched bridge at its entrance and then head south until you reach the River Betwa. If you look west you’ll see Orchha’s famous cenotaphs/chattris – but continue further south, over the bridge across the Betwa and into an island that houses the Orchha wildlife sanctuary. 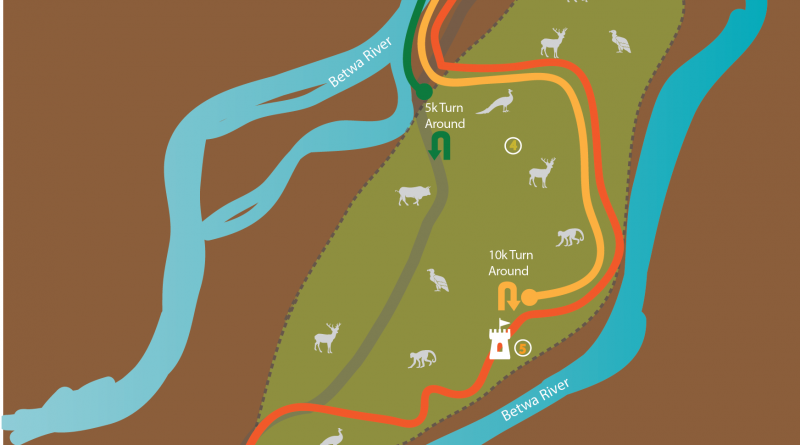 Enter the wildlife sanctuary – home to Spotted Deer, Peacock, Wild pigs, monkeys, Nilgai and Sloth Bear around so keep your eyes peeled – and make your way through the trail route and along the Betwa river bank until you reach a watchtower – which is the 10KM turnaround point. Retrace your path until you return to the Orchha Fort Complex – and marvel at the architectural beauty of the Jehangir Mahal and Sheesh Mahal as you approach the finish line! 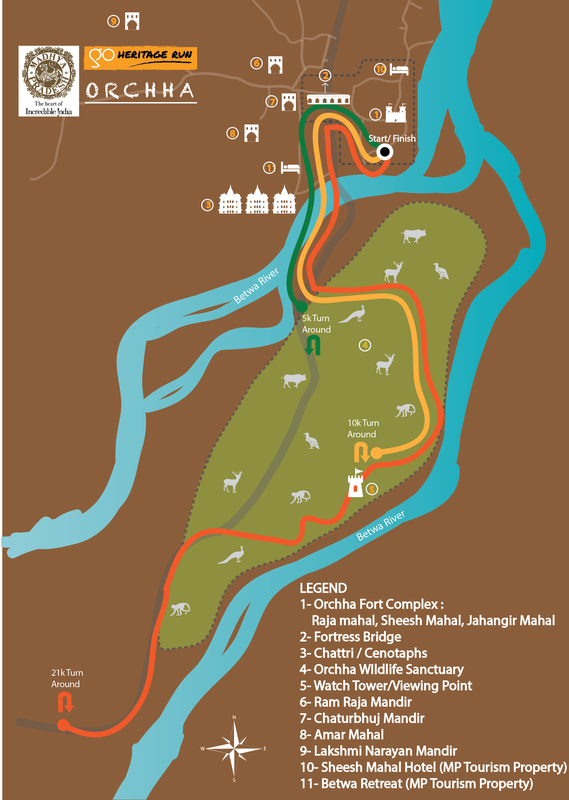 The 10KM run route is mostly flat and the section within the Orchha Wildlife Sanctuary is an all trail route. 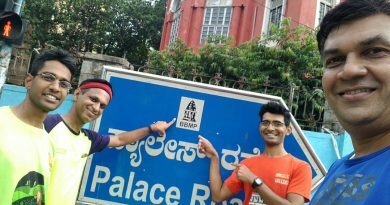 The 21KM run route begins at Orchha Fort Complex – near Sheesh Mahal. Weave your way through the Orchha Fort Complex, across the arched bridge at its entrance and then head south until you reach the River Betwa. If you look west you’ll see Orchha’s famous cenotaphs/chattris – but continue further south, over the bridge across the Betwa and into an island that houses the Orchha wildlife sanctuary. Enter the wildlife sanctuary – home to Spotted Deer, Peacock, Wild pigs, monkeys, Nilgai and Sloth Bear around so keep your eyes peeled – and make your way through the trail route, along the Betwa river bank, past a watchtower / viewing point, until you reach the southern entrance of the wildlife sanctuary. Head further south and turn west when you approach the bridge leaving the island. The 21KM turnaround point lies 400m ahead. Retrace your path until you return to the Orchha Fort Complex – and marvel at the architectural beauty of the Jehangir Mahal and Sheesh Mahal as you approach the finish line! The 21KM run route is mostly flat and the section within the Orchha Wildlife Sanctuary is an all trail route.